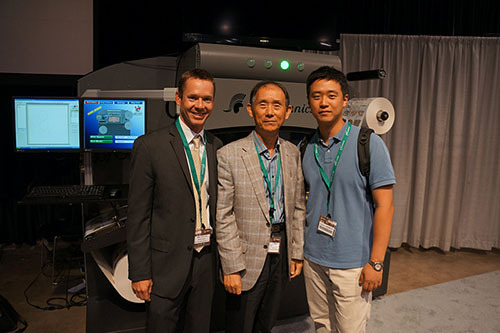 ROLLING MEADOWS, IL, USA – September 19, 2012 – Laser cutting innovators, Spartanics, announced the sale of their L-350 Laser Cutting System to Hana Graphic Art Company in Korea. The laser cutting sale caps off a legendary performance at the Technology Workshop as Spartanics celebrated 50 years in the registration die cutting business. Throughout the Technology Workshop Spartanics preached the benefits of laser cutting with 100% savings in tooling costs, 40% reduction in job changeover time and 40% reduction in scrap materials. The L-350 combines Spartanics software control development with best-in-class system components to achieve cutting speeds up to 80 meters per minute. The sale also included slitting and lamination components for a true laser converting solution.